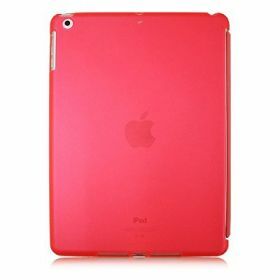 Flaunt your style credentials with the fashionable and innovative ATTITUDE Case for Apple iPad Air. 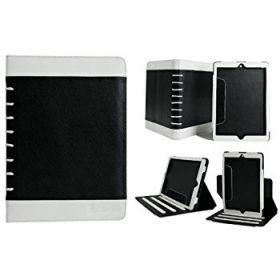 With an innovative two piece design, your iPad Air is transported to higher levels of usability whether you want to protect it from dust, scratches and impact while toting it around town or need multiple viewing angles both in landscape and portrait positions for easy viewing and faster typing, this iPad Air case is the answer. The bold and beautiful two color design marries couture form with high-tech functionality. - 2 Piece Innovative design. An individual back cover and case that connects with magnets. - Compact, light weight, sleek. 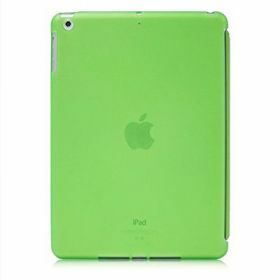 Easy access to buttons and connectors without taking your iPad Air out of the case. 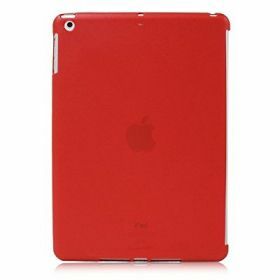 LUVVITT DOLCE is a sweet companion for your official Apple Smart Cover. 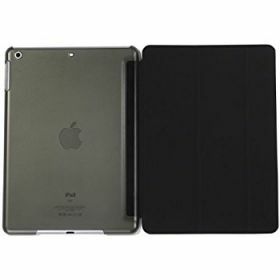 This low profile but elegant back cover will truly enhance the looks of your iPad Air while protecting it from scratches and falls. Unlike most similar companion covers, LUVVITT DOLCE covers the entire back including the area where the antenna is located, without interfering with the reception. The cutouts are perfectly optimized to only expose the ports, buttons and the microphone hole. 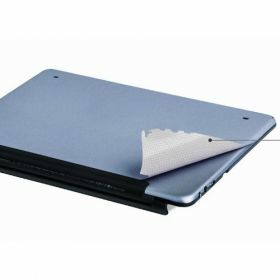 All the edges are covered except for the part that integrates to the Smart Cover. 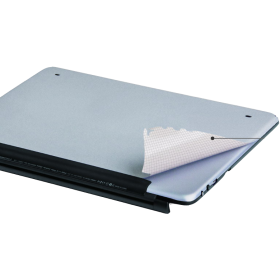 LUVVITT DOLCE is engineered using high-quality, scratch resistant Japanese TPU material and is micro-textured to improve the grip-ability of your iPad Air.